To improve the services and experiences of its customers, Metro McAllen is seeking input through an online customer survey. This survey and all ongoing activities, known as Move McAllen, and is an effort to understand how to best serve the community in the coming years. 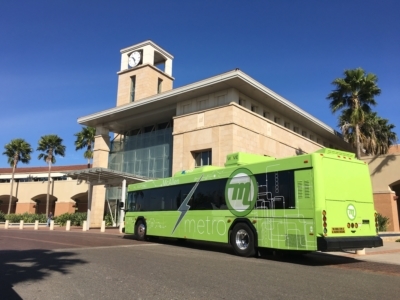 Customers are encouraged to take the two-minute online Move McAllen Transit Survey to share both comments and concerns on the current bus service in McAllen. All survey responses will directly inform recommendations to help improve Metro McAllen’s transit services. The survey will continue until Feb.28. Customers may speak directly with a Move McAllen team member at any the following Move McAllen events. Each event provides opportunity to speak about transit service, interact with transit maps and learn about future plans.